Gozo, alongside Comino, are the smaller of the three Maltese Islands - but it's definetely one place you need to visit on during your holidays to Malta. Despite being only a couple of miles off the coast of Malta, Gozo has a completely different character and charm. Known best of offering a laid-back, quiet pace of life, there is still a lot to see and do on the islands. One of the many reason why Gozo holidays are so popular with visitors! 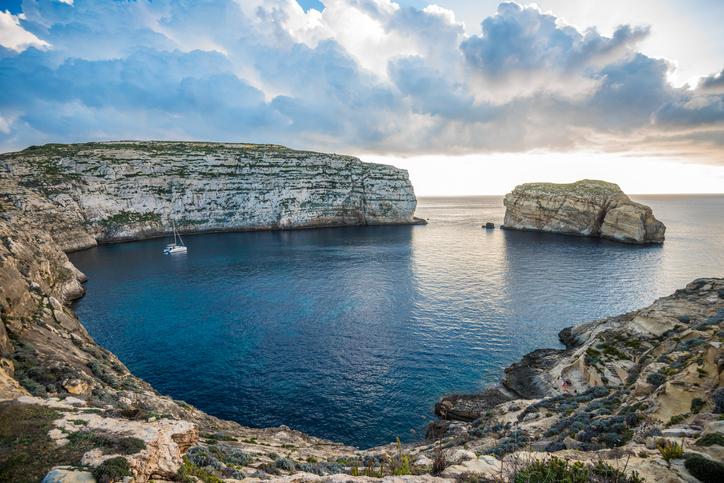 An enviable climate, dramatic coastline and friendly locals are all great reasons to visit Gozo. Often referred to as ‘the way Malta used to be’, the island proudly displays the history and traditions built up over thousands of years. It manages to retain the old ways while also appealing to modern visitors. It really has to be seen to be believed! Like Malta, Gozo has been influenced by the many rulers of the islands and still carries remnants and ruins of each. The island is full of historical sites, quiet towns and villages and glimpses into the past of the island and Maltese culture. Your holiday to Gozo will begin with a flight into Malta International Airport (MLA) just outside Valetta. From there, you will likely get a bus or taxi to the ferry port at Cirkewwa and catch one of the regular ferries to the main harbour of Mgarr. From here, you can be transferred to your accommodation. Ferries run regularly and the journey takes around 25 minutes in total. It will take you past Comino and tantalise you with views of the Maltese coastline and part of the southern coast of Gozo. It is an excellent way to take in the amazing coastline of the island before getting to enjoy it for real. 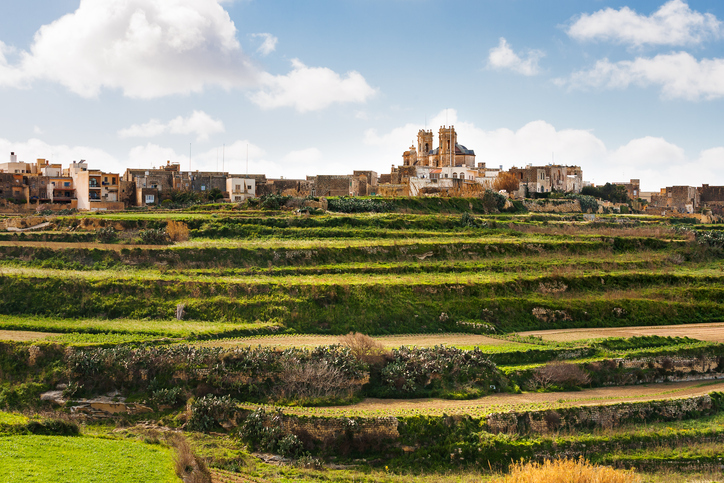 Despite being a small island, Gozo is full of things to see, do and explore. Whatever you’re looking for, relaxation, an escape from the world or a sunshine break somewhere beautiful, you can find what you’re looking for here. 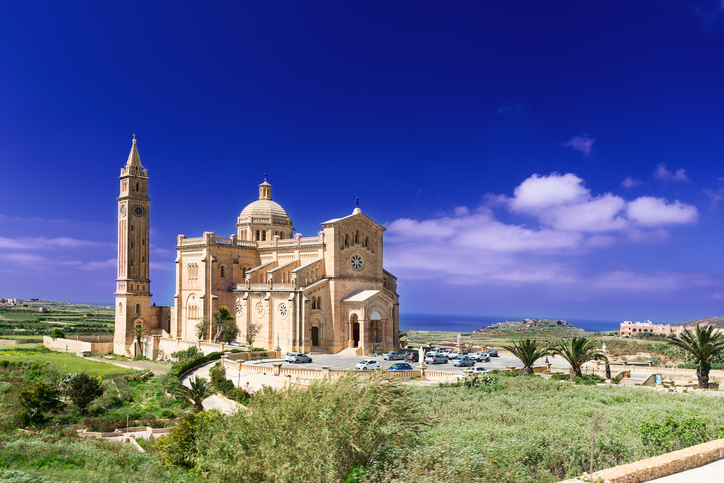 Here are some of the many places to visit during your Gozo holiday. The walled city of Victoria includes The Citadel which is a big draw for visitors. The town is a maze of winding streets that have evolved over the centuries and offers the opportunity to explore every part of the town. Originally settled by the Romans, Victoria is typical of the area having been inhabited by the Arabs, Normans, Knights of Saint John and local Maltese peoples. Other highlights within Victoria include the Cathedral of the Assumption, the statue of The Assumption of Our Lady, the famous Archaeology Museum, the main square, It-Tokk, Saint George's Basilica and hundreds of churches, shops, cafes and other fascinating buildings. Marsalforn was a small fishing village not that long ago. It has been recently developed into one of the island’s best destinations. It is a big draw for visitors and is served by a very fine guest house. The waterfront offers activities, the chance to relax along the pebble shore or wander around the stores, cafes and the seafront promenade. Nadur is a traditional coastal village where the Knights of Malta used to monitor the seas around Gozo and Malta for pirates and invaders. Surrounded by green fertile land, this historic town features the Ta' Kenuna Tower where the Knights used to keep watch, a lovely church, three bays with fantastic beaches and lots of local shops and places to visit. Xlendi is a prime destination for Gozo holidays. As one of the islands most popular seaside villages on the southwest coast, it has grown from a sleepy fishing village into a popular resort destination. Traditional buildings and fishing boats sit comfortably alongside modern hotels and resort facilities to provide a rich mixture of old and new. With a lovely waterfront and a sandy beach, it is a great place to visit. Xewkija is credited with being the oldest village on Gozo and features the famous Xewkija Rotunda. The dome is visible across most of the island and is the third largest dome in the world. The village is traditional and modern at the same time, like lots on the island. It has lots of character and is still the home of the present-day Order of Saint John. There are a number of luxury hotels on Gozo, apartments for short rent, self-catering accommodation and farmhouse accommodation. The selection is many and varied and is often much lower key than on Malta. There are boutique and luxury hotels as well as hotels offering more value. Whatever you’re looking for, you will find it here. One key type of Gozo holiday rental is the farmhouse. Not farmhouses as you might know them though. Think more self-catering house with all modern conveniences and often a pool too. Other popular Gozo holiday rentals include hostels for backpackers, bed and breakfasts and self-catering apartments. Different locations have different options and most are of a high standard. While we may be biased, we consider the Gozo climate to be ideal. Mild cool winters, warm spring and autumn and hot dry summers are the norm. This means any time of year is a good time of year for a Gozo holiday! The average temperature on Gozo is around 23C with lows of 15C in winter and highs of 31C in summer. With around 300 days per year of sunshine and a minimum of five hours a day even in winter, it is the perfect antidote to the grey English weather! The summer (June, July and August) are hot and dry which is ideal for sun worshippers and package holidays. March, April and May are perfect for activity breaks as the sun still shines and the seas are warm with cooler temperatures than summer. The other months are cooler but no less welcoming in their own right. Gozo is well served by public transport and taxis so nowhere is every far away. There are also car hire opportunities, fantastic cycling, guided tours and our famous trackless train. Roads are well managed and in good condition so getting around is fast and simple. There are also lots of off road trails for cycling and exploring on foot. Boat tours are also popular with visitors. Yacht charters, pleasure cruises and watersports are all readily available and add an unforgettable experience to any Gozo holiday. The cuisine of the Maltese Islands reflects our geographical position and our colourful history. A mixture of Mediterranean, North African and our own Maltese style, our food is one of the best things about being here. The food on Gozo is very seasonal and heavily swayed by local produce and traditions. That lends it a rich and vibrant character that has to be tried to be believed. Fresh vegetables, locally caught seafood, olive oil and local sheep’s milk products all typify the food here. 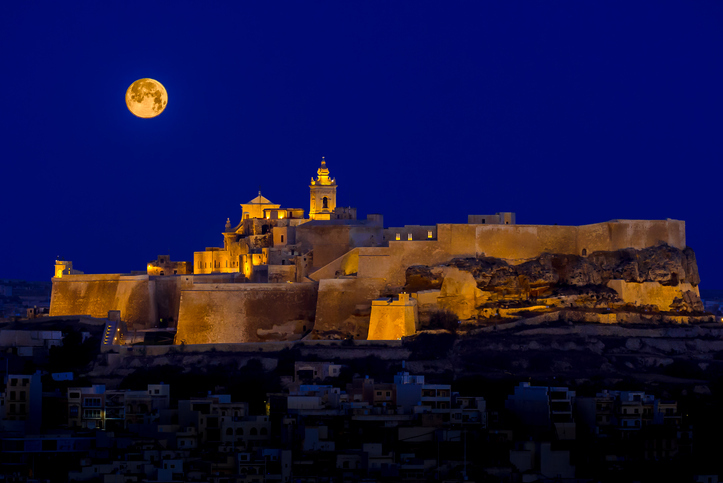 History and culture are a big part of the attraction of Gozo. Sure the climate is idyllic, the surroundings beautiful and the locals very friendly, but it is the character and history that makes the island so special. Gozo translates to ‘joy’ in Castillan and is separated from Malta by a 5km stretch of sea. Despite the proximity, the character of the island is very different from Malta. More relaxed, less developed and more rooted in tradition. Life was harsh on the island and has crafted a resilient population that values life, family and the bounty of the island and its seas. These traits are what makes Maltese people so friendly and welcoming to visitors. Gozo has the same mixed history as Malta too. Ruled in turn by Phoenicians, Carthaginians, Romans, Byzantines, Arabs, Normans, Aragonese, the Sovereign Military Order of St. John of Jerusalem, the French and British, we have taken a little piece of each and made it our own. While all countries around the world are made up of such history, few wear it as proudly or as publicly as the Maltese Islands. We celebrate our history as it has made us what we are today. Despite being small, the island of Gozo is packed full of things to do. It may be laid back and relaxed, but it is also a very active island. Whatever your interests, however active you may or may not be, there is something here for you. The Citadel is a fortified city within the city of Victoria. Inhabited since the Bronze Age, it has been steadily influenced by the many inhabitants and displays characteristics taken from each along with its own Maltese charm. You can explore the battlements, tunnel fortifications, the support buildings and the lovely Cathedral of the Assumption. You can see Fort Chambray as you approach Gozo on the ferry from Malta. It is located in Ghajnsielem, above Mgarr harbour and offers amazing views of the island and the sea approach. The buildings are mainly privately owned Gozo apartments for short rent so you could feasibly stay there if you wanted to. Good quality self-catering accommodation on Gozo is a great way to spend a holiday! The Ggantija Temples are a UNESCO site dating back thousands of years. The name dervices from the word for giant in Maltese: Ġgant, because the megaliths used to build this temple are so large, they seem to have been built by a race of giants. They are very well preserved and have been dated to around 3600 BC. That makes them some of the oldest temples anywhere in the world and are a big draw for visitors to Gozo. A modern visitor’s centre tells you everything you need to know before you arrive at the site itself. The Maltese Islands are surrounded by clear blue sea but there is something about Dwerja Bay and the Azure Window that is special. It is (was) a stone arch that has been eroded over millions of years and frames the sea and coastline behind perfectly. The site is beautiful to look at and photograph and the diving is good there too. 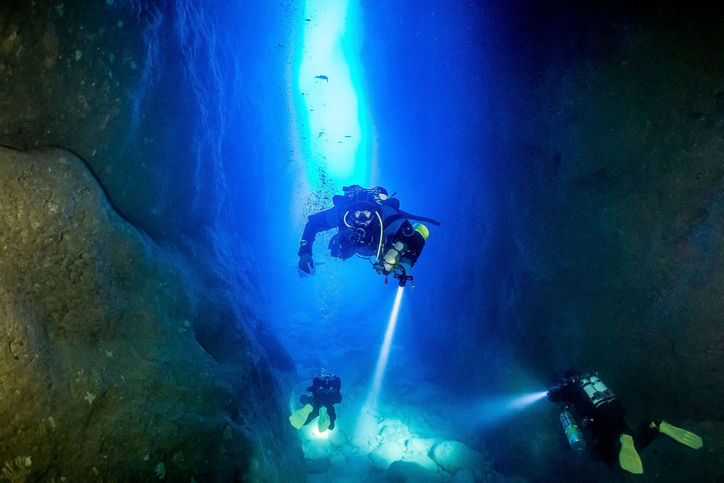 Blue Hole is a famous diving site that is close to Dwerja Bay. Unfortunately, 2017 saw the window toppled into the sea by rough weather. The site has now become even more of a diving attraction than it used to. There is still plenty of to see in the Dwejra area, and a visit to this area is a must. St. George's Basilica and Il-Hagar Museum are both located in the heart of Victoria. St. George's Basilica is also known as the ‘Marble Basilica’ and features lots of marble on the inside. It is very ornate and lavishly decorated making it a must-see for any Gozo holiday. Across the street is the Il-Hagar Museum which concentrates on the religious history of the island. Entry is free and the museum is full of information and works of art. Well worth a visit. The beach at Ir-Ramla il-Hamra (Ramla Bay), or translated from Maltese, the red bay nestles comfortably between steep cliffs and is the largest sandy beach on Gozo. It takes it's name from, the fine sand which has a reddish hue. The gentle sea make this a very popular beach for relaxing or swimming. Fully equipped with showers, bathrooms and changing facilities, it is the perfect place to relax. The Basilica of Ta' Pinu is a pilgrimage church. It is a modern building built on the site of a much older church dating back to the 16th century. Full of sculpture and amazing architecture, this building draws visitors from across the world. If you are so inclined, a tour of the Tal-Massar Winery is one of the most popular activities for many holidays in Gozo. Learn about local wines, participate in tasting sessions, eat local galletti treats to help it go down. Located close to Zaghra, it is very convenient to reach and well worth a visit if you are at all interested in wine. 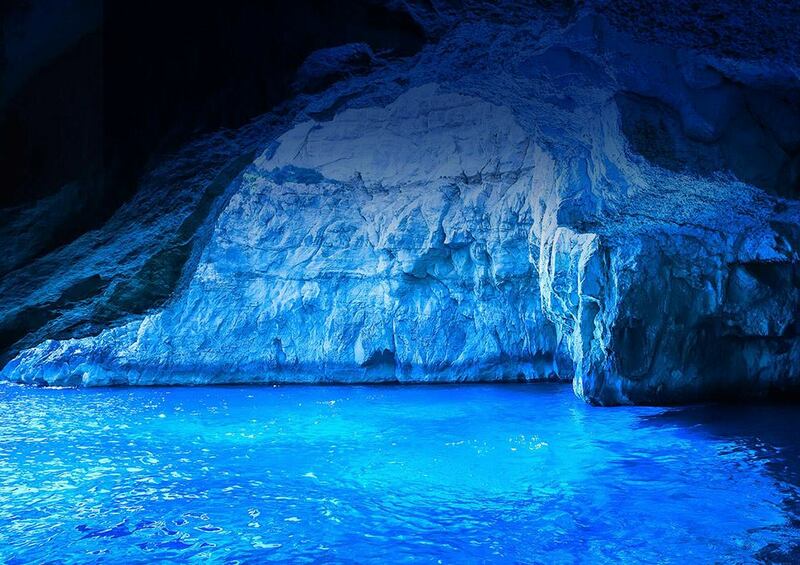 The Maltese Islands are known around the world for the quality of its diving and Gozo plays a part in that. With lots of wrecks, coral and geological features along with clear warm water makes it a great place for diving holidays. Gozo has great diving at Wied il-Għasri, Daħlet Qorrot, the Blenheim Bomber wreck, Crocodile Rock and Coral Cave to name a few. There are diving centres on the island that can provide instruction and equipment too. Given the terrain and surround geography, holidays to Gozo can easily include adventure sports. Popular pastimes include mountain biking, abseiling, rock climbing, bouldering, caving and kayaking. There are also Segway tours, horse riding and quad bike tours to enjoy too. Many of these sports can be accessed through companies that operate on the island. If you’re looking for Gozo holiday rentals, self-catering accommodation or hotels, you’re in the right place. Choice Holidays offers a wide selection of Gozo holidays at very competitive prices. See our latest Gozo holiday offers here.